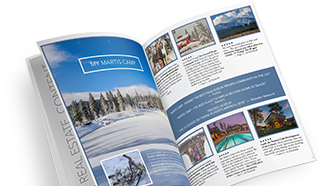 The Martis Camp Community Foundation awards community grants on an annual basis each fall. The application deadline is September 1st and grant awards are announced by October 1st. Grants are evaluated based on their alignment with the mission of the MCCF. To apply for a grant, download our Grant Application (below), provide the requested information and email the completed application to the MCCF. The application deadline for the next Community Grant award cycle is September 1st, 2019. The MCCF supports educational institutions that promote learning and intellectual development and that make education more accessible and effective for all students. The MCCF supports organizations that provide services, opportunities and supports that enable young people to develop to their full potential. The MCCF supports organizations that provide direct services to people in need, and help them lead safe, healthy and productive lives. The MCCF supports organizations that improve the number and quality of recreational options that enhance the enjoyment and health of residents and visitors alike. All applications must be submitted electronically in PDF format. Complete submissions must include the application, a formal letter of request (no more than three pages), and supplemental documents. Detailed instructions are included in the application. Incomplete applications will not be considered. Applications for the next award cycle are due by September 1st, 2019 at 5:00 p.m. PST. Email your completed application to mccf@martiscamp.com. A member of the MCCF Grant Committee may reach out to the Primary Contact on the application if further information is needed for review. The grant period is 12 months from the grant approval date. A brief summary report is due 30 days after the end of the grant period. Details for the summary report will be included in the grant agreement (at the time of the grant disbursement). Grant Use: To purchase one “sit-ski” for use beginning in the 2018-2019 ski season. ARC provides literacy and leadership for under-served youth in the Tahoe Truckee Region. Students attend weekend retreats, week-long retreats, and/or 40-day retreats. They spend time camping, kayaking, rock climbing, and completing ropes courses in addition to developing writing, reading, and public speaking skills. One hundred youth are served each year. Grant Use: To implement existing programs – mentoring, weekend retreats and 2019 summer courses. Also, they are looking to expand their programs and partnerships. A portion of the funds will be used to invest in strategic planning to facilitate this. Aim High nurtures, prepares, and inspires middle school students during critical summer months, helping to prevent learning loss and prepare students for the upcoming school year and the transition to high school. Aim High focuses on underserved youth in the Tahoe Truckee community. Grant Use: Will support the summer program which focuses on reduction of summer learning loss and will serve 145 low income Tahoe-Truckee students. Arts for the Schools was founded in 1984 to address the decline in arts programming and access to the arts for communities in the Sierra Nevada Mountain region. Arts for the Schools believes that access and exposure to the arts is essential for all. Programs include: Performing Arts Education program, Visual Arts Education program, onstage public performance services, and The Breakfast Club where youth create and curate visual and performing art. Grant Use: Will support visual and performing arts education and career training at the Tahoe Truckee Community School for juvenile justice system and troubled youth. Through funding from the MCCF, Big Brothers Big Sisters has continued matching children and youth with adult mentors in our area. Matches here average 43 months – much higher than the 28-month national average. Kids who are mentored have improved self-confidence and school performance. The Town of Truckee Police Department is an active mentoring partner of the program. Grant Use: To support the Truckee Tahoe Mentoring program for at-risk children, ages 6-18 in Truckee and North Tahoe. BGCNLT has provided high quality youth development services in North Lake Tahoe/Truckee since 1998. Programs are offered to children ages 3-18 and are affordable to all families. Focus is on the arts, sports, fitness and recreation, health and life skills, education and career development, and character and leadership development. More than 200 children are served in summer programs and 120 children attend after-school programs. Grant Use: Will provide operations support and staffing that will allow the Boys and Girls Club to maintain existing service levels while expanding services to Alder Creek Middle School. The EWC provides food and shelter to those without places to stay when temperatures drop to 15 degrees or below for a period of four hours overnight, a foot or more of snow drops overnight, and other severe weather conditions occur such as extended periods of high wind, heavy rain, and low temperatures. More than 250 volunteers donate food, clothing, time and money. So far this year they have been open over 30 nights. Grant Use: To open the shelter on the most severe nights and support connections to other service agencies in the area. In addition, it will be used to provide training of overnight supervisors and to engage an overnight security company. The mission of the Family Resource Center of Truckee is to promote social and economic success in our community by providing education, mobilizing resources and advocating for change. FRC believes that we improve the lives of children by strengthening local families, and serves as Truckee’s one-stop location for safety net and family strengthening services. They serve more than 1,000 families per year. Their focus areas are health and wellness, housing and employment, legal advocacy and mediation, parent education and child development, and youth support and family-oriented events. Grant Use: Funds support the Tahoe Truckee Mediation and Legal Assistance Program which provides free or low-cost mediation, legal aid and immigration services in Truckee and Kings Beach to at least 400 households. Gateway Mountain Center is where youth of all backgrounds learn, heal and thrive. We foster a sense of wonder, connection and inquiry. With spirited, adventure-learning we help youth transform their self-awareness through connections with self, nature and community. Whole Hearts, Minds, & Bodies (WHMB) is a therapeutic mentoring program serving the highest-need youth who need mental health and addiction treatment in the North Tahoe-Truckee community. Grant Use: To fund staff time to optimize partnerships with UC Davis and UCSF for Truckee/North Tahoe youth in treatment. Founded in 1996, Girls on the Run helps girls ages 8-13 to develop the skills and confidence they need to avoid conforming to a set of social standards for girls/women that are often unattainable and dangerous to their health and well-being. Their programs are physical-activity based. They teach life skills and physical skills concurrently. Grant Use: Will cover the program costs for 20 girls, ages 8-13 in TTUSD, for Spring 2019 programming. Special Friends allows students to interact with an adult one-on-one without distractions. Students may be referred by teachers, counselors, or self-refer. Students who are experiencing problems adjusting due to changes in the family, a recent move, etc. benefit from uninterrupted playtime with an adult. Special Friends assists 80-100 students. Grant Use: Will allow the program to operate three days a week. HSI provides K-12 students the unique opportunity to conduct original research and pursue answers through self-led scientific experiences. Grant Use: Will be used to maintain the existing science programs in TTUSD and will allow for the start of new programs in the district. Specifically at Truckee High, 6th grade at Alder Creek, and 7th grade at North Tahoe Middle School and Truckee and Donner Trail Elementary. Created 25 years ago, KidZone Museum inspires learning through creative play and discovery. KidZone works closely with child development specialists to create fun and creative learning environments for children up to seven years old. Grant Use: The museum needs to expand their capacity and is in the process of investigating all that is involved in that endeavor. They need to develop a comprehensive business plan and this grant will be used to further that effort. La Fuerza Latina identifies highly motivated and qualified Latino students and prepares them for college with course selection, summer programs, college preparation tests, and college admissions and interviews. Students have been accepted to UCSD, UCSB, UC Berkeley, Wesleyan, Yale, UCLA, Penn, University of Chico, Pepperdine and Willamette, as well as half a dozen CSUs. Grant Use: To provide support of local, under-represented scholars on their college path. Most are first generation scholars and need the support to make their college dreams a reality. The mission of North Tahoe Family Resource Center is to be North Tahoe’s central link between individuals and families, and the services and programs available to them. Their ongoing programs include early childhood development, breast health outreach and education, nutrition classes, financial counseling, legal advocacy, emergency relief and bilingual advocacy. Grant Use: To expand the Immigration Education and Legal Aid program; specifically, hiring a US Citizenship and Immigration Services Specialist. Project MANA was founded in 1991. Their goal is to provide emergency food needs for high-risk, low-income children, individuals, seniors and families in the Tahoe/Truckee community. From 2016-2017, Project MANA provided assistance to 2,100 people. Grant Use: To support food distribution to those in need in the Truckee/North Tahoe area. The goal of the Rocker Memorial Skatepark Project is to provide Truckee/North Lake Tahoe with a state of the art, 25,000 square foot skatepark to benefit the entire community. The park will also be capable of hosting world-class competitions that will increase year-round tourism and generously give back to the community that is helping make this dream a reality. Grant Use: A new, larger, state of the art skate park is being built in Truckee! This grant will be used for preliminary application and Town of Truckee permit fees. A grant from the MCCF provided an outdoor education and science program to all fifth graders in the Tahoe Truckee School District. Thirteen classes attended two- and three-day fall programs at Sagehen Creek Field Station, and the program continued in the spring with additional one-day sessions. Grant Use: Will be used for the Fall 2019 program and will help provide a rich, engaging outdoor education and science program to all the fifth graders in the Tahoe Truckee School District. This program serves approximately 350 5th graders from TTUSD. Slow Food Lake Tahoe’s mission is to connect our community to the enjoyment of good, clean and fair food by inspiring a self-reliant food culture. We educate the community about growing, preparing and accessing local and sustainable food. Good, clean and fair food for all. The mission of the Truckee Demonstration Garden is to cultivate a community committed to local food production and increased local food security, through education and demonstration of high-altitude gardening techniques. CULTIVATE. EDUCATE. CELEBRATE. Grant Use: To support progressive outdoor-based programming for underserved Truckee-Tahoe youth, ages 8-18. The mission of Tahoe Food Hub is to build a regional, sustainable and equitable food system in the region. A regional and local food system increases market opportunities for small farms within 150 miles while increasing access to local, year-round food production. Grant Use: This organization is working to build a local food system for Truckee/North Tahoe by providing opportunities for small regional farmers to market their products directly to the consumers. This grant will be used to support the Farm to Market program and capacity building. Established in 1985, the mission of the Tahoe SAFE Alliance is to end the incidence and trauma of intimate partner/domestic violence, sexual assault, and child abuse in Truckee/North Tahoe. More than 830 community members were served in 2016-2017. Grant Use: Will assist in funding age-appropriate training and groups that help students make healthy choices and avoid violence throughout their lives. Specifically, this funding will supplement the programming at Alder Creek Middle School and Glenshire Elementary School. The Community Education and Prevention program is aimed at stopping violence before it begins. Truckee Bike Park serves 40,000 people a year. They provide a venue to learn and practice mountain biking skills. These skills help to increase concentration and self-confidence. The bike park is enjoyed by children and adults of all ages and is an excellent place for families to play together. Grant Use: To finish out the 2018 construction cycle with a dual pump track in this local gem that boasts something for everyone. Funds granted by the MCCF helped Truckee Community Christmas provide food, coats and toys for 424 children, 342 adults and 147 seniors – making it a warmer and happier holiday season for more than 900 people. Grant Use: To purchase and distribute food gift cards to families in need during the 2018 Holiday season. Grant Use: This group is working to build a new ice arena in Truckee and also manages the existing rink. This grant provides funds to purchase a new snow blower that will be used at the existing rink and also at the new arena. The mission of Truckee Community Theater is to create opportunities for community participation in theatrical offerings of the highest possible quality presented to audiences at affordable prices. We are dedicated to providing theatrical training to residents of all ages through plays, workshops, camps, and classes, to offer arts education that promotes life-long learning, to collaborate with other local arts organizations, and to celebrate the power of theater to illuminate our common humanity. Grant Use: To purchase equipment and props for the theater’s holiday performances and beyond. The Roundhouse is a non-profit makerspace that supports the teaching, learning, and practicing of a wide variety of crafts, skills, technologies, and arts in the Truckee-Tahoe community. In addition to housing five shops with many state-of-the-art tools, the Roundhouse also offers a variety of classes and workshops. Grant Use: Applied toward the expansion of the Roundhouse resulting in an increase in classes, improved facilities and a broadened reach within the community. An anonymous Martis Camp member generously provided funding for the Truckee Trails Foundation Grant Request through a charitable gift. These funds will be used to fund Phase I of a connector trail from Sawtooth Ridge to the Truckee River trail.